I told you, the cuteness just overflows with this one! If only it were as precious for all of us to eat our cake with such joyful abandon…hehe. Ready to make some memories? Bring the family and let’s make some magic together! Check out how the Salamanca family personalized their home with a custom Watch Me Grow wall portrait design using their favorite images from over the years! The Clark Holiday Family Portraits... some times you have to pivot! A final word… I find myself so full of gratitude for this time of year and having wonderful people in my life. I’m thankful for our clients that have grown with us over the last 13 years and to my amazing Studio B Family that makes it a joy to come to work every day and do what I love. Thank you to Erin and Makayla (below) for being so amazing. Behind the scenes with Erin and Makayla - could not think of a better Studio B family. You girls are the best! “This one is for the book!” - I’m pretty sure I say that phrase at some point during every family shoot. It’s usually when something fun, silly, or maybe even decidedly “un-done’ happens but I wanted to talk a little bit about why these moments are treasured keepsakes. In a word - they are “real” and they become the images later that will make your heart smile. You might be wondering what I mean by “book” so let me explain. 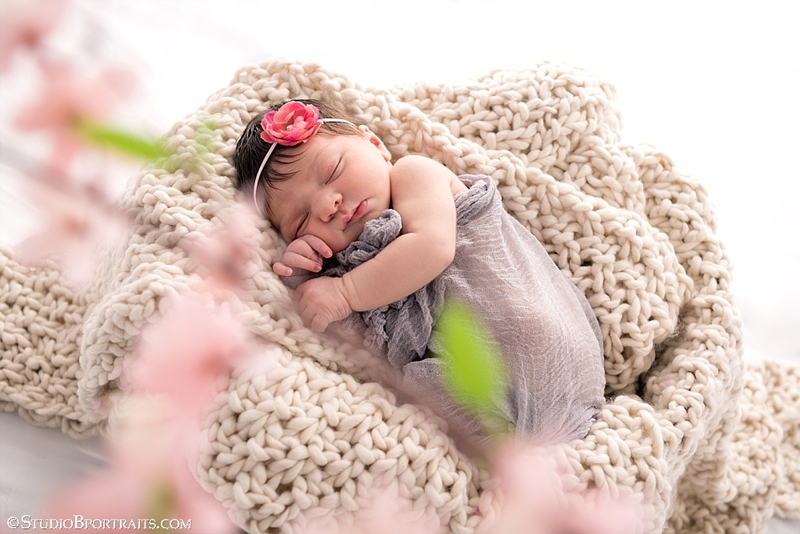 We design a gorgeous flush-mount album from almost every family session that includes all of your favorite portraits from your family experience. The cover is typically your family in all of your photogenic awesomeness. Open the cover and that’s where the real magic unfolds. The in-between moments that are both perfect and un-perfect all presented in one beautiful story that is your family right now. Things that we forget about who these little humans were at this time come rushing back with just one turn of the page. Can you believe I’ve been photographing this lovely family since their baby boy was in Mom’s tummy? It’s true… and she has the books to prove it. 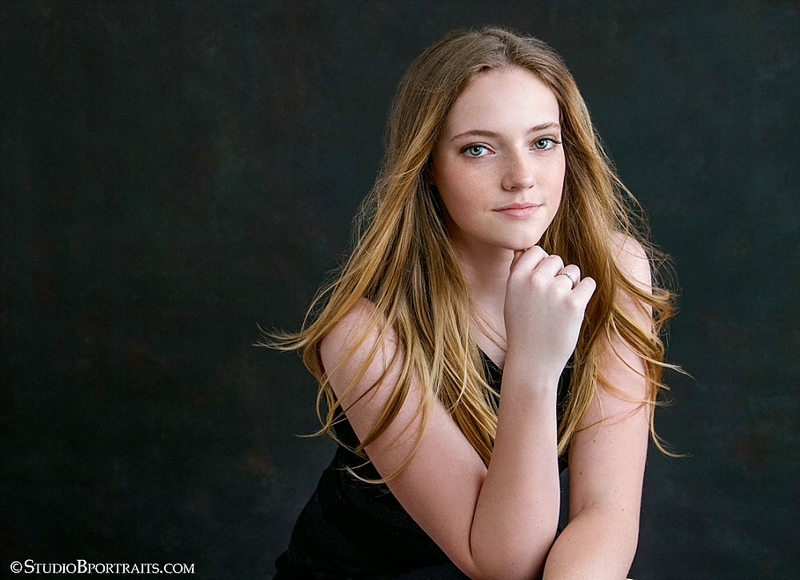 One of the things we hear most from our clients is how much they enjoy having the portraits from their session in one place with no “to do” item… nothing to frame or figure out. Plus — BONUS you have all of the moments socially too for your phone to show/share on Facebook, Instagram and with family. Best of both worlds. 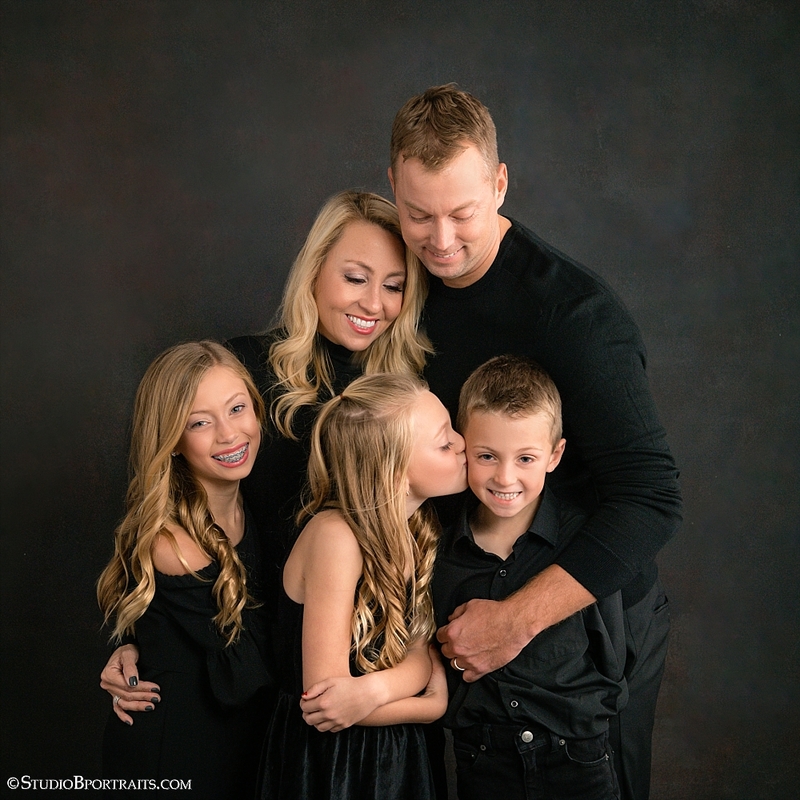 Falala formal family portraits are oh-so fabulous during the holidays and we loved catching up with the Warshaw Family this season. Mom Victoria in her gorgeous floral gown in red and black had us stepping back to ooh and ah. Her twin boy could not have been anymore dapper in their matching Calvin Klein suits. Head to toe handsome. Fun fact: We photographed Mom and her twins when they were just newborns. Time flies but how is it that Mom looks like not a day has passed? A tremendous thank you to Cisco Brothers for sharing your beautiful Bellevue store for us to come and play! 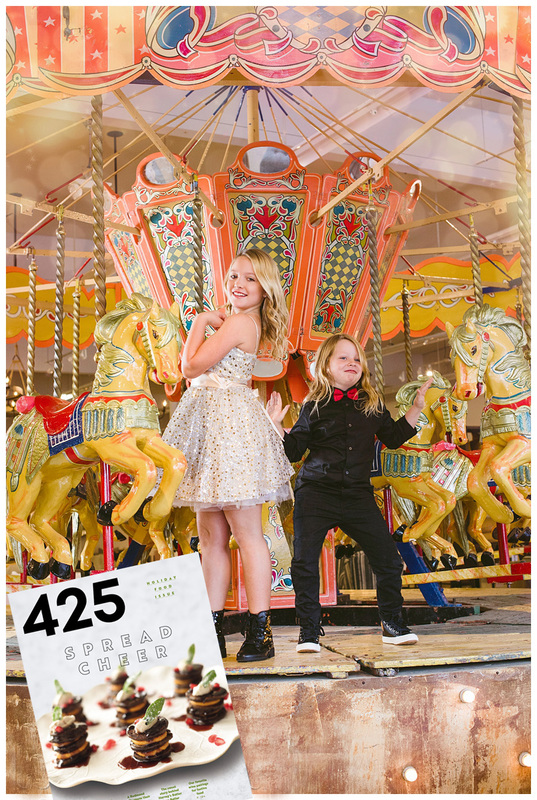 Your innovative and unique showcasing of your store created a lovely experience and the perfect setting for this photoshoot, featured in the December edition of 425 Magazine. Take a peek at behind the scenes footage of this fabulous shoot! We have photographed this brother and sister duo since he was born and each year that we have the privilege to watch them grow feels like a gift! If a picture is worth 1,000 words…then these sessions over the years are a million memories and acts of love. We are beyond inspired by this family - for the way they connect and show up for one another! It is a beautiful thing to witness, and we are blessed to be a part of documenting their journey of life. 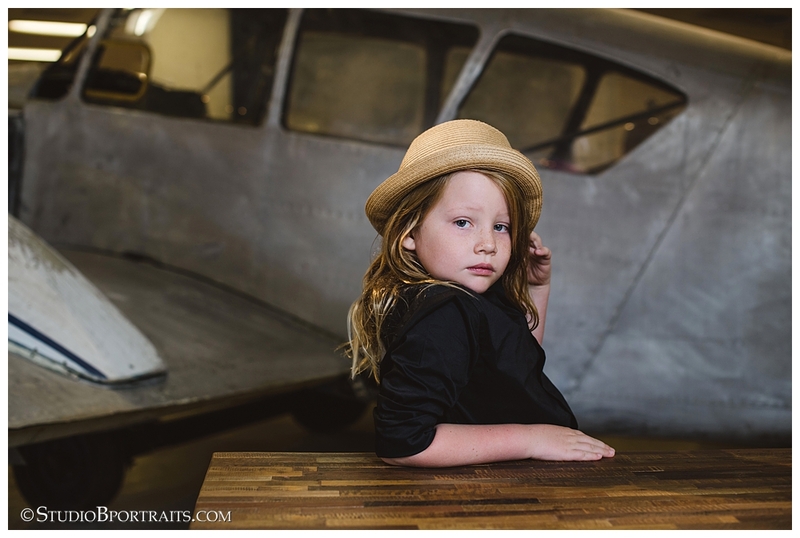 Oh and did we mention… Cisco Brothers has a full size airplane in their gallery. This place is just unreal. 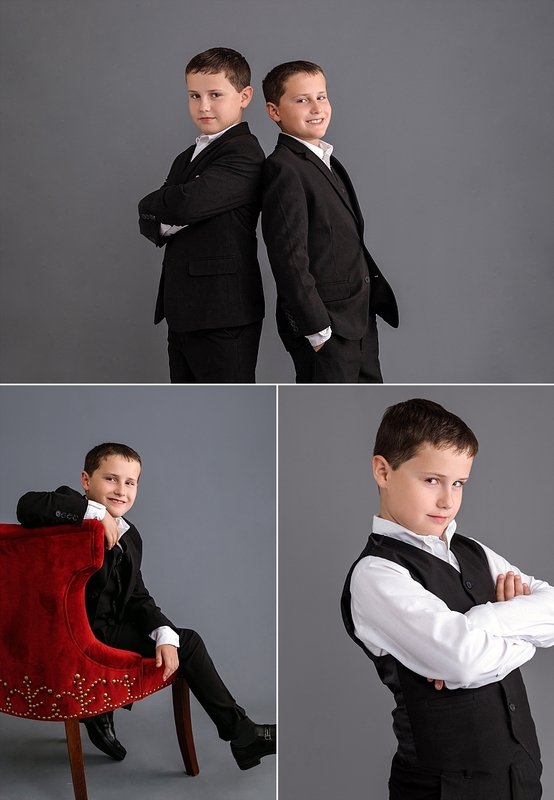 Wondering how to bring the glitz + glamour to your family portraits? Excellent you have come to the right place. Getting dolled up with your favorite folks is great for holidays… and any day really. First, let’s just begin with acknowledging that family portraits is a perfect reason to get dressed up and it does not have to be any more clever than that. 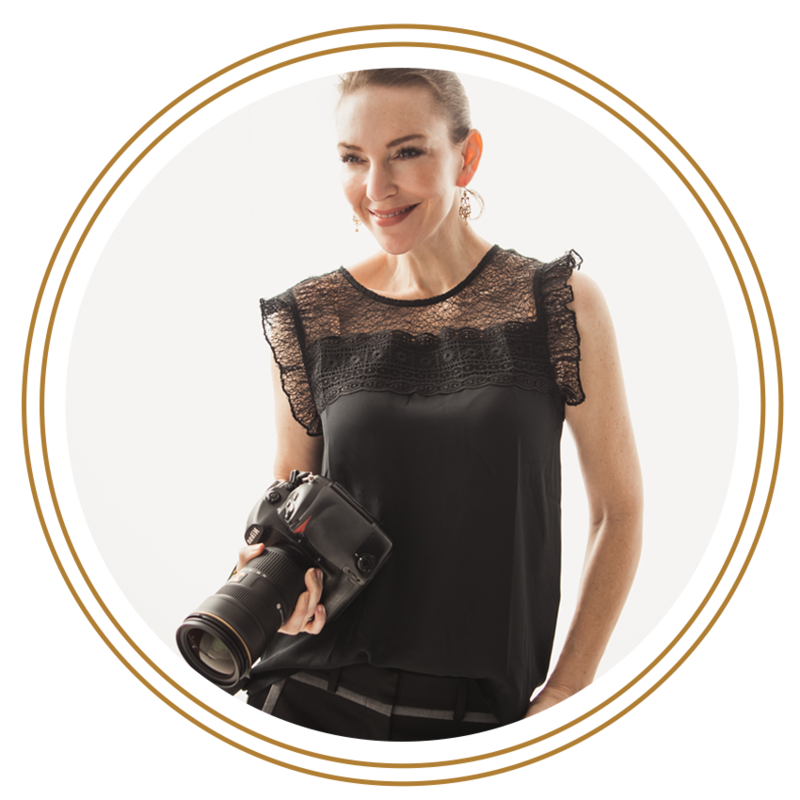 With the exception of A-list celebrities and supermodels, most of us do not walk around in designer gowns but let’s be honest.. it’s fun to play “red carpet” for a day with the people you love and have amazing portraits to remember the occasion. Just because you are dressed to the nines doesn’t mean formality takes a back seat to fun! Laugh, play and have a party letting your personalities shine. Ready for your own formal family portraits? 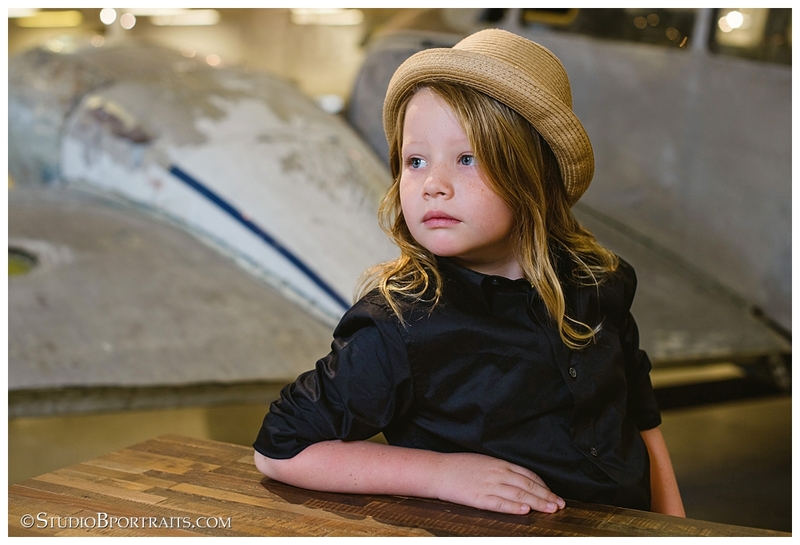 Now is the perfect time to schedule your session! "You are exactly like your Momma!" Ask me how many times I've heard that over the course of my life, and I will tell you that it is a compliment every single time. Maybe that's why celebrating this bond is one of my favorite relationships to work with here at Studio B. If you're looking to say "I love you" to your mom or daughter, bring them to the studio and let us give you both a moment to look glam together! Such a perfect Mother's Day, birthday, or "just because" gift! Pro Tip: While your babes are young (and not as likely to protest;), have fun matching your outfits the way Mikaela styled herself and Avery when they came to the Studio for their most recent session! We can’t get enough of cutei pie Avery and her beautiful mama, Mikaela! Celebrating Avery’s 2nd birthday was their excuse to have a fun moment in front of the camera…check out the behind the scenes in the video above! To stay up to date with the latest and greatest happening here at the Studio, check out our Instagram and Facebook! When was the last time you indulged in letting yourself feel absolutely cared for and beautiful in every way? Whenever I ask this question of Mom - trust me… I already know the answer. It was so fun to see Mom Jennifer have our hair + make-up pros doll her up. As a Mom, we always wish our girl could see herself the way the rest of the world sees her right? Ready for your own Mother + Daughter Experience?